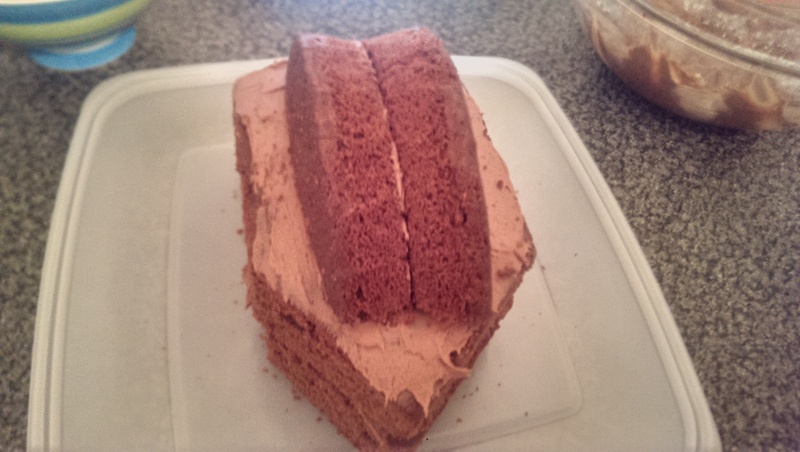 You know me, any excuse to bake and I’m in the kitchen baking up a wonderful treat. If there is one thing I love more than baking and eating cake, its baking with Hana. Well this weekend we had an excuse to get ourselves into the kitchen and do a nice bit of baking for one of Hana’s cousins kids birthdays. 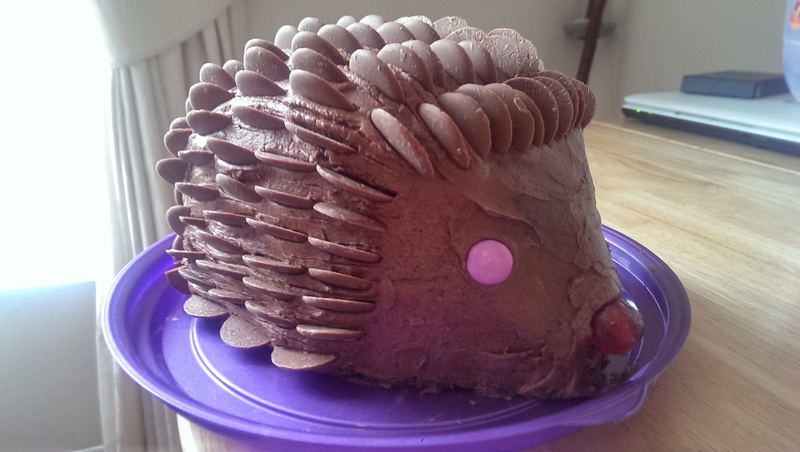 Being as it was a birthday cake for a 6 year old we were even more excited than usual as we had the perfect excuse to try out a recipe we had wanted to make for a while, the hedgehog cake. I can’t remember how Hana came across the idea of a hedgehog cake, I think she found pictures of these on the internet somehow. If she is anything like me (which I think she might be) then Hana could have been just looking at pictures of different cakes! When I saw the picture of the cute chocolate covered hedgehog Hana showed me, I thought it would be a great cake for us to bake sometime, but a little over the top for the two of us, thank goodness for birthdays! As I said we made this for Hana’s second cousin’s 5th or 6th birthday, I do forget, how ever old she is it”s old enough to enjoy fun cakes. We took it to the party on Saturday evening, a little late for a kids birthday party? And I think it went down well, as it was a birthday party there was a lot of cake and treats and with a main birthday cake too it didn’t get eaten before we had to head home to London. I must be getting old as I couldn’t keep up with a group of kids! 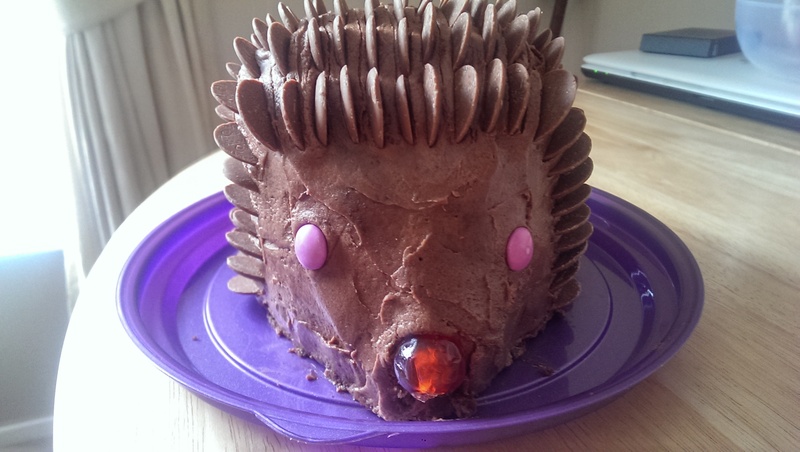 We looked around at a few hedgehog cake recipes before deciding on using a simple chocolate sponge to build it out of. As the rest of the recipe is a bit complicated namely with the decoration, we thought it best to keep the baking part of it simple. 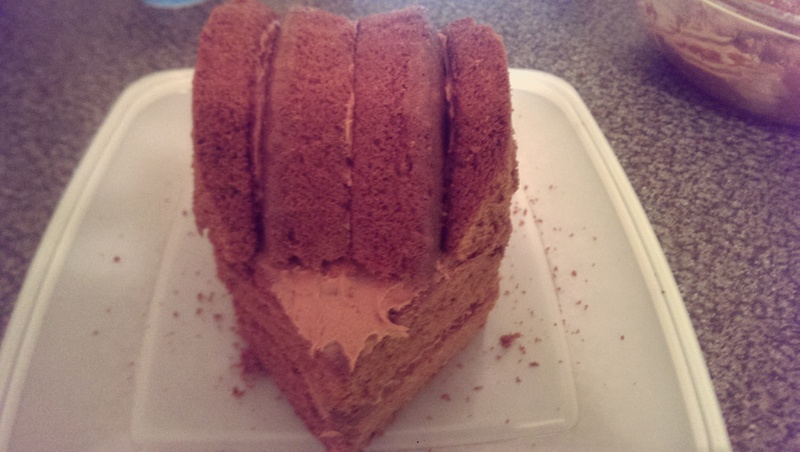 You can bake the sponge the night before assembling your chocolate ‘hedgehog’ and just keep it in a tin. We did this and it worked out well enough, a good thing if you are pushed for time when organising a birthday party. This is a little complicated but it works really well. Preheat your oven to 190c and grease and line two shallow sponge tins. In a mixing bowl cream together the butter and sugar till smooth and creamy. Sift the flour and cocoa together in a separate bowl. Crack the eggs into the butter and sugar creamy mix and continue to beat with an electric whisk on medium. Once combined resift in the flour and cocoa into the cake batter and whisk again till combined. 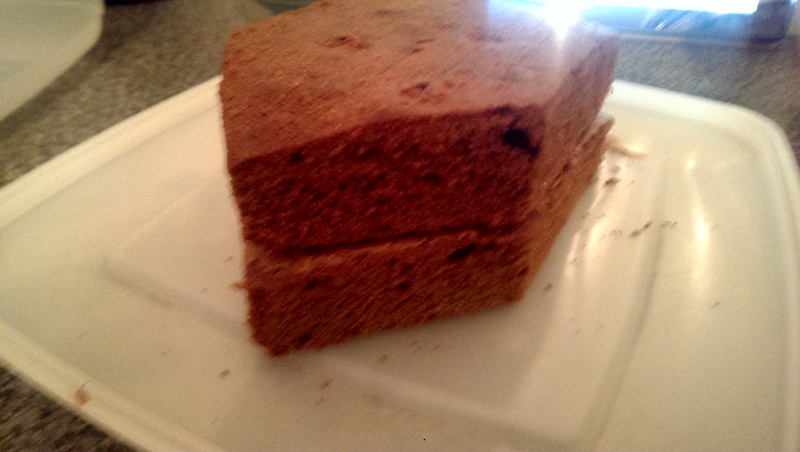 Pop in the oven for 30 minutes, or till a knife comes out of the middle of the cake clean and the sponge is springy. Remove to a wire rack and cool. Meanwhile make up the icing by first mixing the cocoa with the warm water to form a paste. Beat the butter till soft and whisk with the icing sugar till pale and fluffy. Add the cocoa paste and you have your icing. Take two of the side pieces and sandwich them together then place on top to form the body. 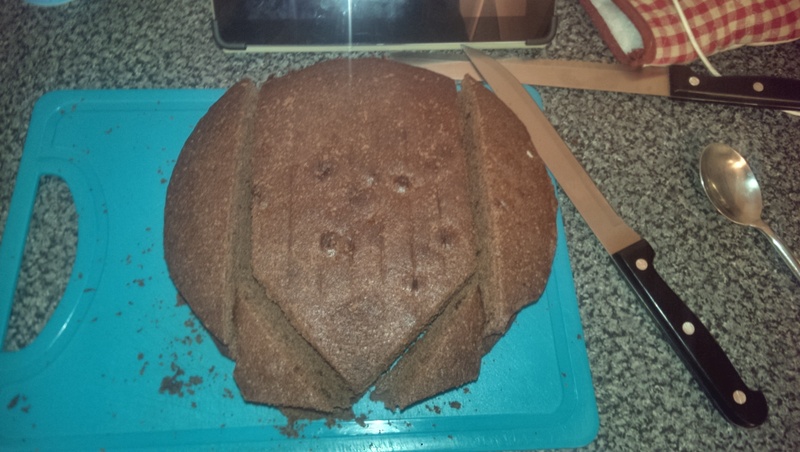 Now you have the general body, it is time to shape the hedgehog with the icing. Before icing you may want to trim the cake a little to make it more “hedgehog” shaped. Once you are happy with the icing and feel it is the right shape score the body of the hedgehog with a fork, this helps to look like fur under the prickles and also separates the head from the body a little. I also used these grooves to places the spines in. I made these by snapping a chocolate button in half and popping it just into the icing. Add the smarties for eyes and cherry for nose and your hedgehog is ready to be eaten! This looks so good, I am now so hungry and dinner time is still an hour away! 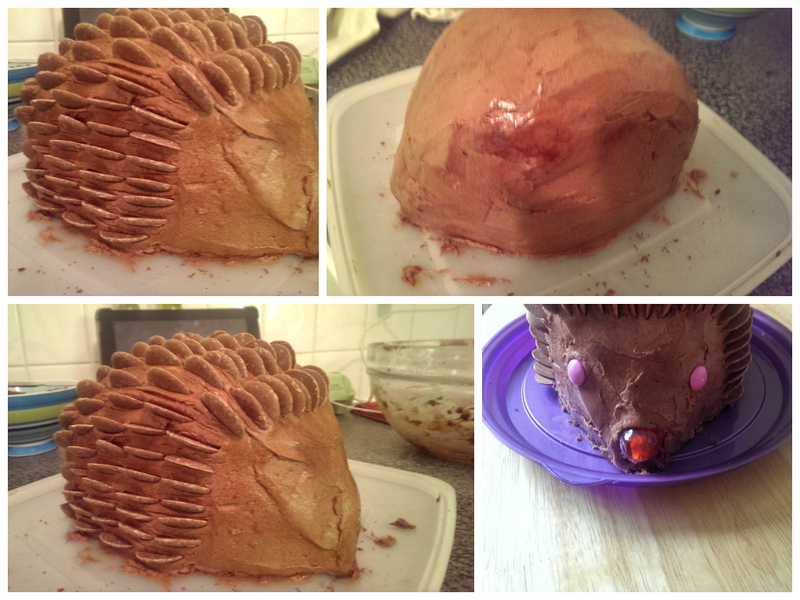 I am going to be giving this a go for my little cousin’s birthday next month, I think she would love a hedgehog cake! Awesome hub! I’m the grandma of the little girl who was lucky enough to receive the gift of the hedgehog cake from Russell and Hana. It was a fantastic cake and would be sure to delight any child. Thank you both.